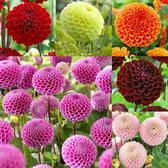 A range of Dahlias which are grown for their attractive spherical Dahlia flowers, sometimes known by their common name of Ball Dahlias. 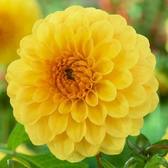 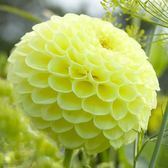 Each petal produced has rounded tips and are curved upwards at the edges. 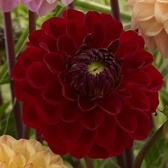 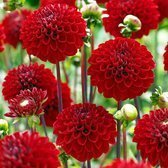 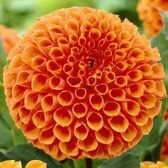 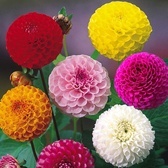 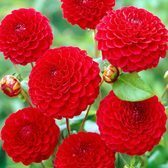 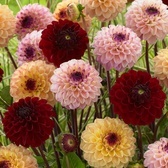 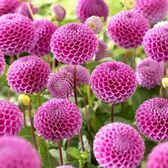 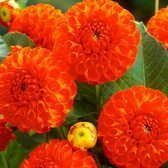 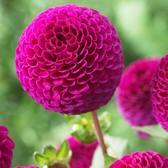 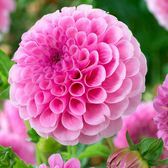 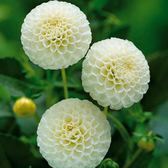 Pompom Dahlias are a real delight when in flower in the summer, they are a great addition to the summer garden and are one of the best varieties when using Dahlias for cut flower arrangements.